The smell of fried griot drifts along northeast 52nd street in Miami. 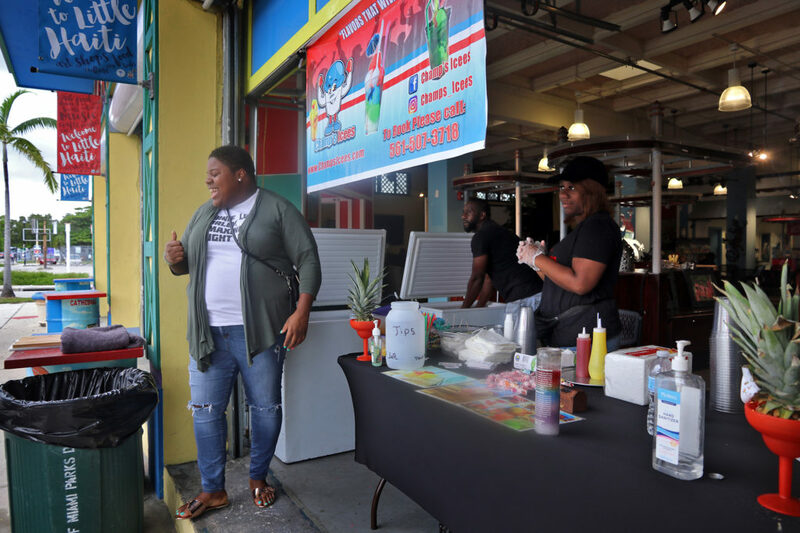 Tourists and longtime residents roam through Little Haiti, an area comprised of businesses rich in Haitian and black culture. Since the 1980s, most Haitian immigrants have sought refuge here, fighting to establish and keep the neighborhood their own space. It eventually became one of Miami’s most vibrant art scenes. 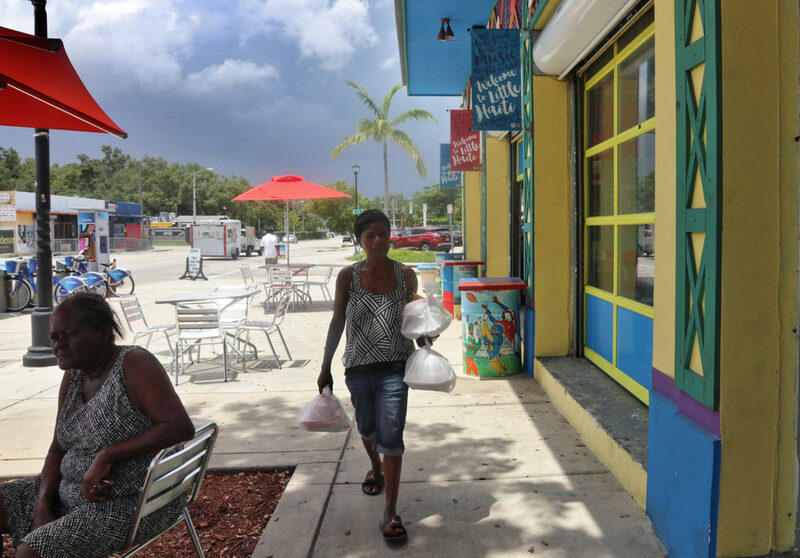 Despite the easy feeling in Little Haiti, the enclave is facing a threat that is common in most under-served communities across the nation — climate gentrification. Climate gentrification affects neighborhoods impacted by climate change problems such as sea level rise. Residents and businesses in wealthier neighborhoods threatened by flooding are looking to relocate to safer areas. As a result, long-time residents are displaced. People living in Little Haiti know they are being targeted this way. Valencia Gunder says that she first googled climate gentrification in 2016 after hearing the term while co-hosting a climate workshop in Liberty City. Paulette Richardson, a community activist and resident in Liberty City, another Miami neighborhood threatened by the trend, had coined the term. Gunder was intrigued by the idea. In Miami, most affluent areas are on average 5 feet above sea level. Areas like Little Haiti are on average 10 and 11 feet above sea level. Developers are aware of this situation, leaning towards buying out Little Haiti. In a span of a few weeks, multiple family businesses were asked to closed because the landlord sold their property. Schiller Sanon-Jules is co-owner of the Little Haiti Thrift and Gift store in Downtown Little Haiti. “When the five year lease was up, the owner told us that to renew our lease, we would have to pay an additional $1,800 per month,” he said. Although Sanon-Jules’ business was one of the most successful thrift stores in Miami, he had to close his shop. He was recovering from a stroke and, with the rent increase, would not have been able to pay the medical expenses and other business expenses. The shop was rented out to a different business the very next day. 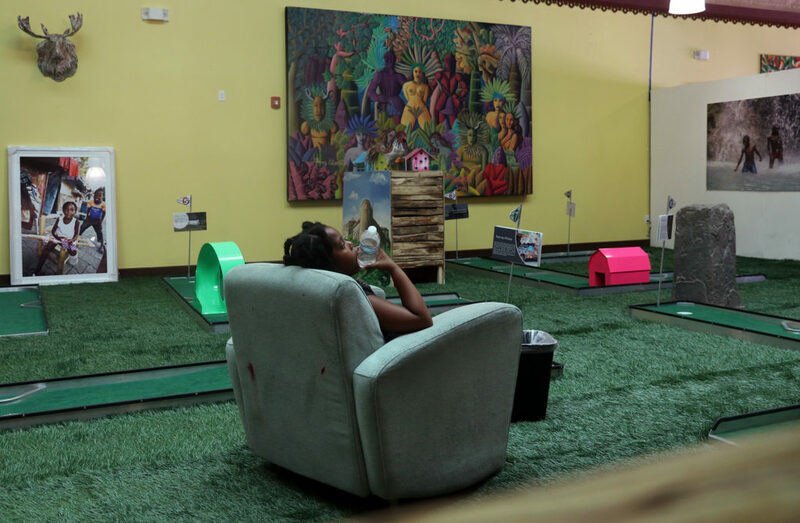 Now, Sanon-Jules is located a few stores down inside the Little Haiti Cultural Arts Center. “We had a 5,000 square feet place… there is no comparison,” he said. Today, his thrift shop remains but it is condensed tremendously, measuring 12 feet by 15 feet; he is paying $25 a day. 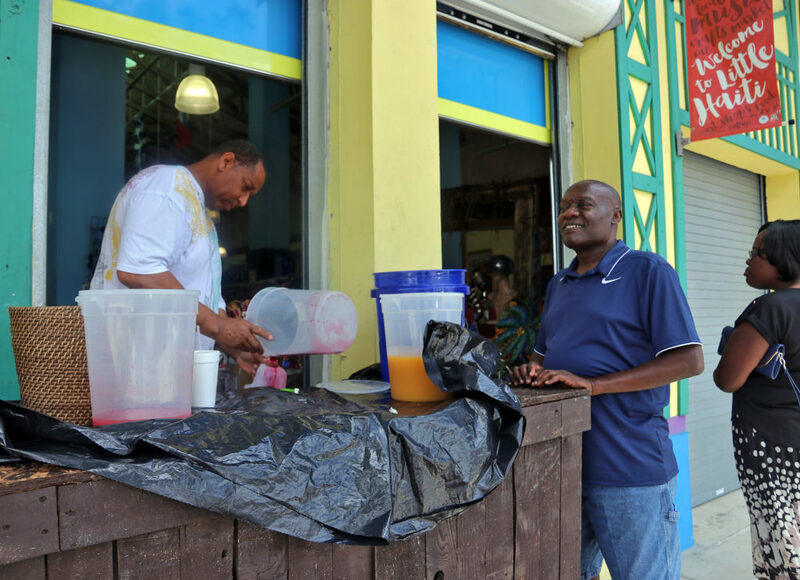 Traditional gentrification is going on in communities across the nation, but Gunder emphasizes it’s happening faster in Little Haiti. Recently, the City of Miami commission approved a billion dollar development project in Little Haiti. The largest Haitian group in the nation, along with everyone in the community, vow they will continue to fight.